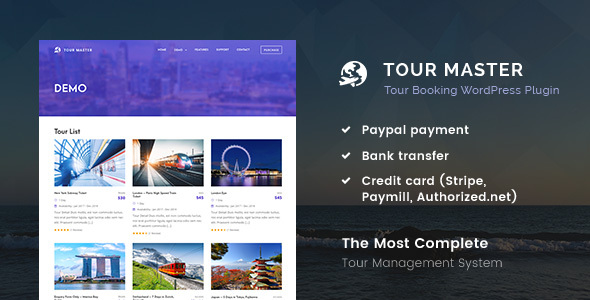 Tour Master is a premium WordPress plugin that comes with most complete tour management system. This plugin is especially designed for tour operator, tour package, travel agency, travel ticket seller, transportation ticket and much more. The system is integrated with plenty of necessary features.